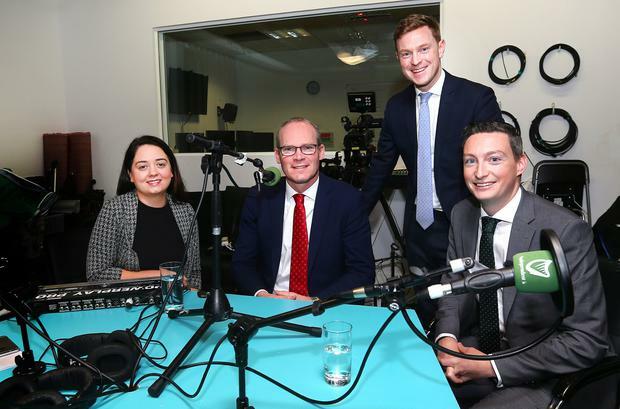 TANAISTE Simon Coveney has said he is angry and embarrassed by the “warped thinking” which saw two letter bombs sent to transport hubs in London. The Tanaiste said the people who sent the packages, which had Dublin postmarks, should be “isolated and criticised”. Gardai are investigating the possibility that the letters were sent to airports and a train stations in London by dissident republican group the New IRA. He said he reacted to yesterday's reports with a “combination of anger and embarrassment” and praised the work of both the gardai and the police. “The perception in the UK of this will be one of bemusement as to why anyone would want to send even a small explosive device like this to London from Dublin. The fact that it could happen and come from Dublin is something I and many other people would be uncomfortable with,” he added. The Tanaiste also revealed new details of the Government’s on-going Brexit negotiations. He said the Government will “intensify” contingency plans for the Irish border if Westminster MPs votes for a no-deal Brexit in the House of Commons next week. However, he said the solution for the border in a no-deal scenario will still “look like something similar to the backstop”. “If there is some other way of doing this that prevents border infrastructure or other checks and controls and facilitates an all-Irish economy to function into the future well then we are up for looking at that,” he added. Mr Coveney separately discussed his family’s fostering of children during his youth. He spoke about encountering on the streets of Cork as a seven year old when walking through the city with one of those children.